Start each session with a joke! Laughter increases subcortical balance and teaches students to shift and think in abstract ways. When I was catching up on some of the Autism Live webcast episodes I listened to a story of how a determined mom turned her home into “playdate central” for the summer and what a dramatic difference it made for her son in developing many social skills. I thought this topic would make a great blog post. Playdates are an important tool to help children develop the social skills necessary to relate to peers both at home and at school. I found this article 5 Secrets for a successful play date by Pam Walsh at http://www.examiner.com/article/5-secrets-for-a-successful-play-date. She writes that “by sharing, negotiating, listening, and basic interaction, playdates are jam-packed with learning opportunities”. Prepare– Talk to your child about what to expect and what is expected. 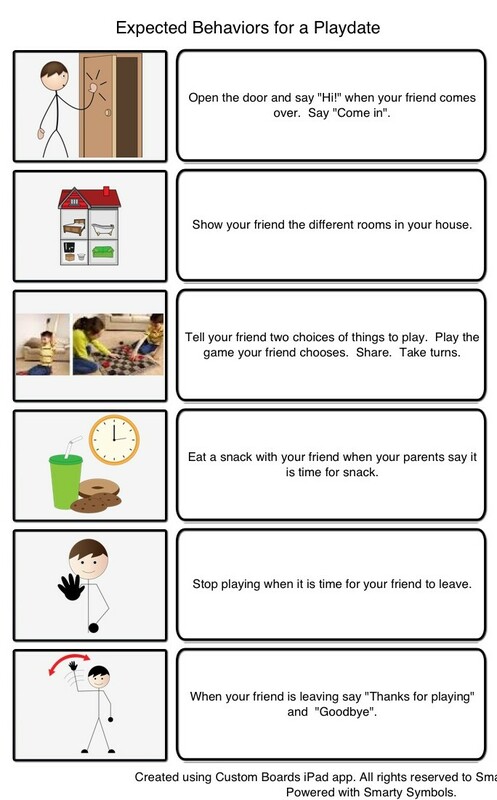 I created this script to use as a visual support to help prepare for the playdate. Set rules! Write down 3-4 rules and at the beginning of the playdate clearly state what the rules are. If they are written down they become easy reminders if necessary. Structure time around clear activities. A parent may be needed to act as facilitator at first until the children are comfortable together. Snack time breaks things up. Make it fun by letting the children help prepare it. Limit time of the playdate. 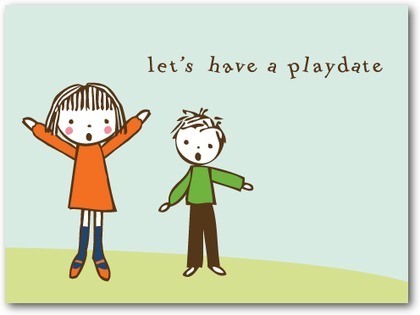 You want the playdate to go well and end on a happy note so set a specific time limit-an hour to start out. Remember that successful playdates take practice and things may not go exactly right the first time. Praise and compliment all the expected behaviors and let your child know that if there were problems you can practice some more together for the next time. Hope everyone is enjoying the summer and having playdates! Between mowing the lawn, weeding the flower beds, and painting, I have been thinking – What would my students love to do for fun during the summer? I found some great ideas to share. 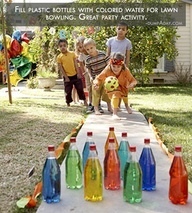 First, I want to recommend this game created by Mia McDaniel over at http://puttingwordsinyourmouthbymia.blogspot.com. 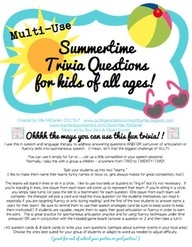 It is available at http://www.teacherspayteachers.com. for $2.50 (I think). I think working together to make these activities would be a great communication opportunity. 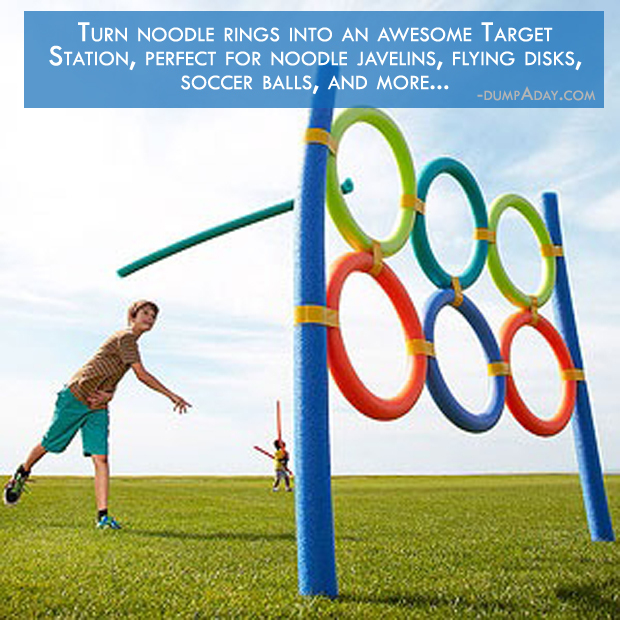 My favorite is a Slip-n-Slide but the sprinkler looks mighty fun. I have mentioned before on the blog that I really like Autism Live. Check out this episode featuring The Swim Professor on Autism and Swimming. “Back to school” is a phrase with multiple meanings. Just returned from my 40th high school class reunion. What a great time! Today I will go “back to school” to finish end of the year stuff and prepare for ESY therapy. A vision board is a whole-brain, multi sensory, family activity. It is a collage of pictures, words, and goals on anything you would like to achieve. Making a vision board together helps with organizing, fine motor skills and social communication. On this board, a student writes “I want to learn to paint”. 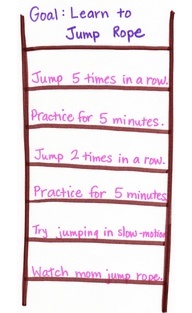 These are a great way to discuss that there are “steps” to achieving something. 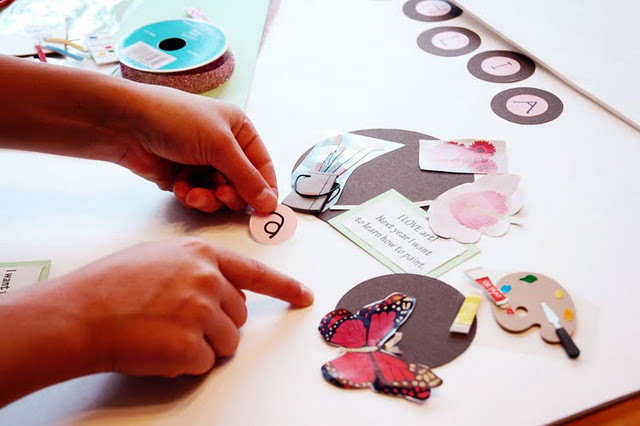 Vision boards also help to teach a “process”. In this video, the idea of a vision book rather than vision board for students with ADHD is discussed. Having a visual record of achievement in the book is a huge plus. 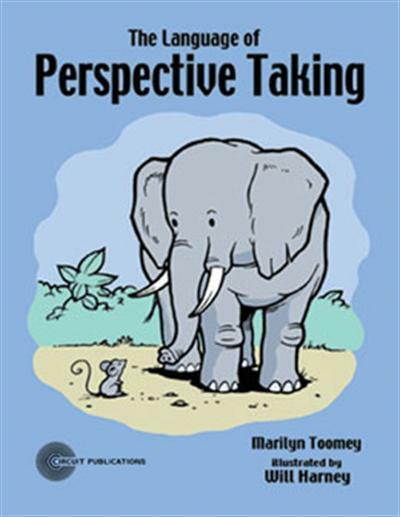 Marilyn Toomey writes in her workbook, The Language of Perspective Taking, that “the ability to understand an event from another person’s point of view contributes to the development of the pragmatic aspect of language and communication”. Understanding thoughts and feelings helps us to develop social awareness. This book has been a great resource for me to help students develop their ability to understand people’s feelings and motives. 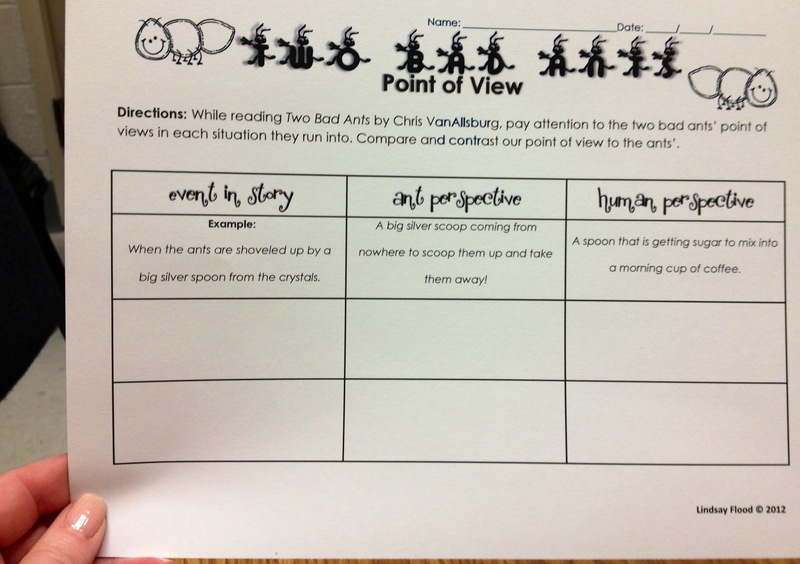 We read Two Bad Ants by Chris Van Allsburg. What a wonderful book for a perspective taking activity. Fun and laughter all around as we discussed the illustrations and the written descriptions! 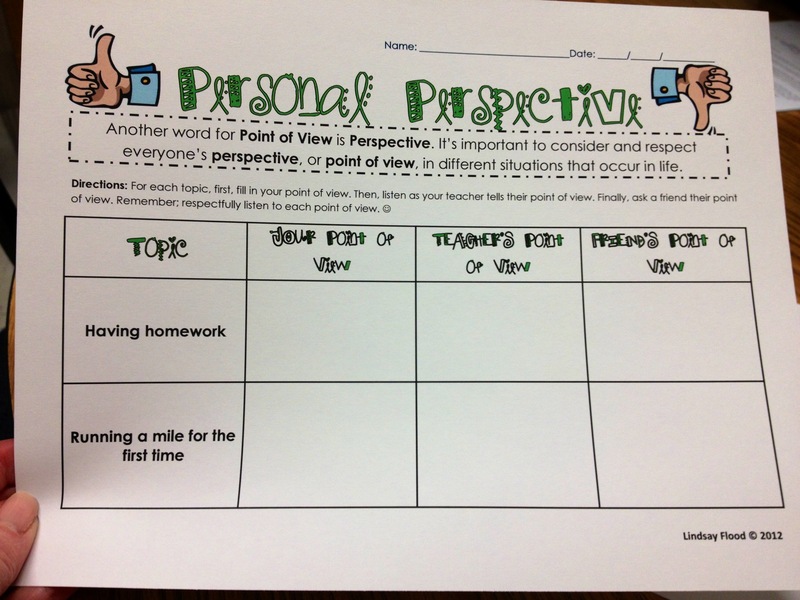 Point of View, created by Lindsay Flood, is available at http://www.teacherspayteachers.com. I especially like these two pages to be completed as a group and used to facilitate discussion. This video is sooooo cute! Is it a duck? Is it a rabbit? It all depends on “how you see it”! 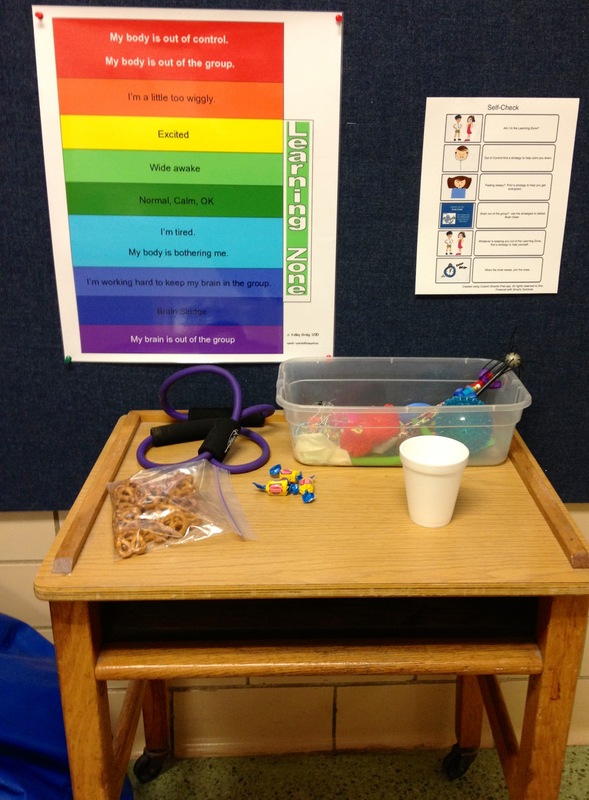 This week we tried out the “Self-monitoring Center”. 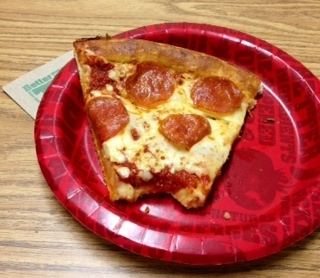 I thought it was time to help the students learn to help themselves. I saw this great poster offered as a free download. 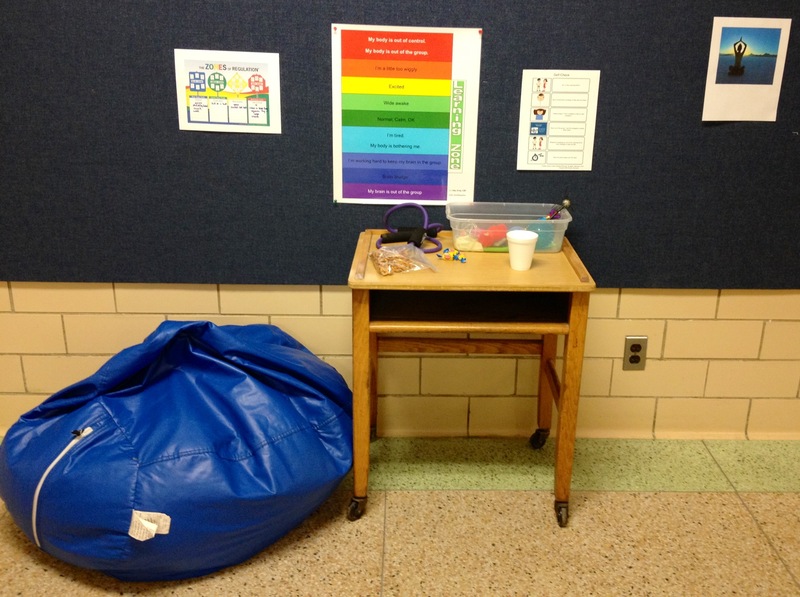 It is called the “Learning Zone” and was created by Kelly Hively, one half of the Dynamic Duo over at http://speech-specialed.blogspot.com. I had it printed as a poster and it is the focal point of our self-monitoring center. The students are instructed to pause and think about how they feel. How does your body feel? 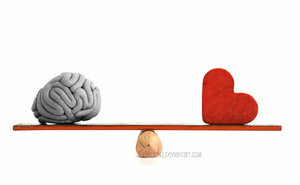 How does your brain feel? Are you ready to learn? 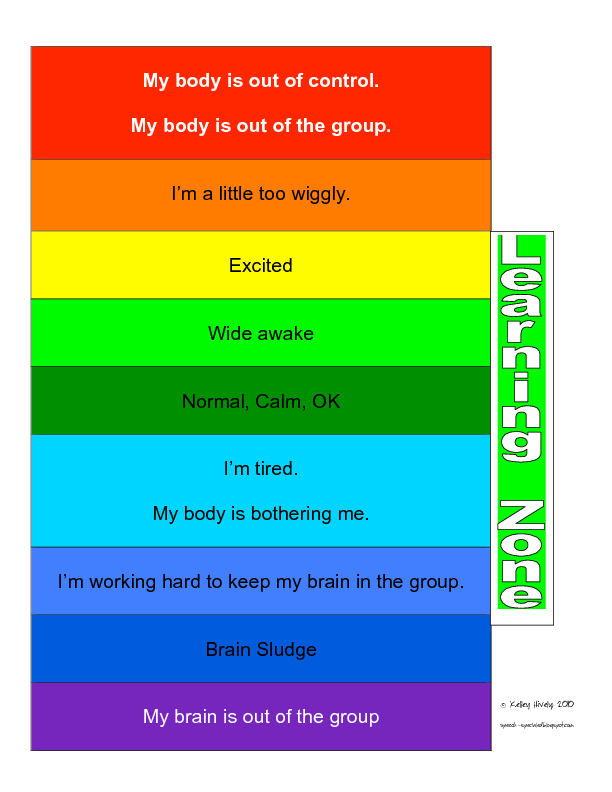 Our work with the Zones of Regulation has prepared our students for self-monitoring. I created a visual to use during the training period. Until the students learn to self-check automatically they need a visual list of what to do. After identifying their state of regulation, the students can decide what strategy will help them maintain or get in the green zone. A yoga station is available. Fidget toys, stretchy bands, a crunchy snack, water or gum are among the choices. 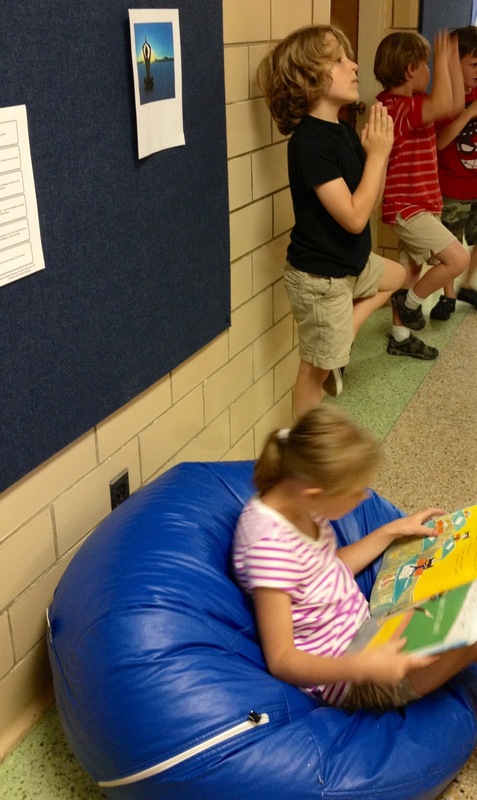 If the student is ready to learn they may relax and look at a book while the others get ready. A timer is set for 5 minutes. When the timer buzzes it is time to join the group. All went well for the first try. We saw where we needed to make some adjustments. My plan is to have these self-check centers within certain classrooms next year . Just when I feel that I am drowning in paperwork and that I will never get finished-I get a nice surprise! 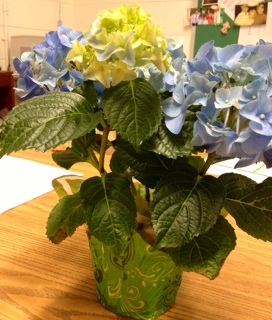 Holly Brown, you made my day with the hydrangea. 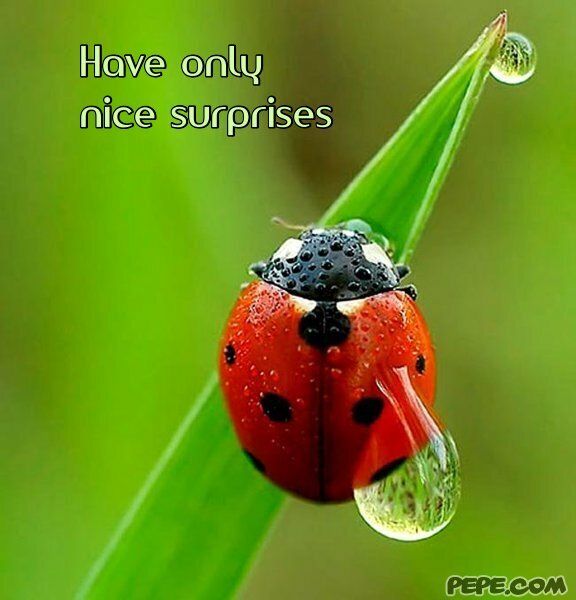 It is lovely and so are you! My heart was so happy! – Dr. Seuss, iconic children’s book author. 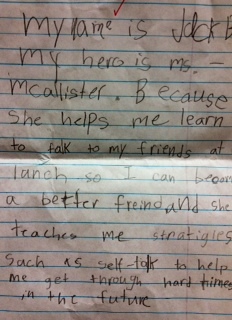 Just reading this helps me get through the day! My gig as an SOL tester is finished. It was a fun four days, but I will be happy to be back on schedule. Many more meetings set for the next two weeks. My head spins just thinking about it. As I participated in IEP meetings last week and discussed the goals and objectives for my students with social thinking deficits, the subject of the same goal from last years IEP also appearing on this years proposed IEP was on the table for debate. My colleague suggested that social skill demands change over time and over environments. Unlike a math goal that can be mastered (multiplication tables) some social skills goals may always be a struggle and therefore, some goals may appear on the IEP from one year to the next. I agree. I would appreciate your thoughts,Followers. Let’s discuss this topic here on the blog. Another topic is standardized tests for eligibility. Michelle Garcia Winner writes, “Standardized tests generally provide the least amount of information about student’s social skill abilities or social pragmatics. The spontaneous nature of social skills defies assessing through a standardized test.” I use the Pragmatic Profile of the Clinical Evaluation of Language Fundamentals-4. It is a criterion referenced test but gives me the best information from a variety of communication settings. I welcome a discussion here on this topic. 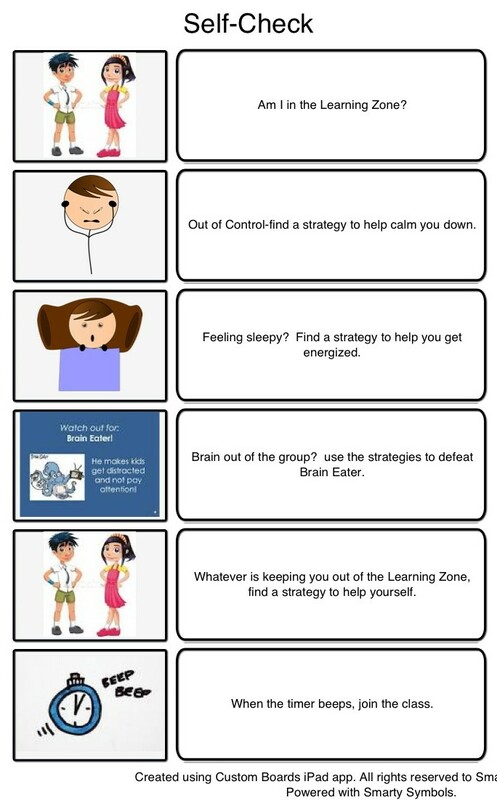 Here is a great video on Executive Functions. Autism Live is a webcast that I discovered on YouTube and it is hosted by a mom. She invites expert guests to discuss a variety of topics. I like her so much ’cause she is so real!